Virent’s first grant with the Office of Naval Research was titled “Hydrogen Generation via Aqueous-Phase Reforming for Power Generation.” The award supported Virent’s conversion of ethylene glycol and other like products to a hydrogen-rich gas stream. The company’s second Navy award was titled “The Development of an Integrated H2 Production System.” This project was completed in 2010 and resulted in the development and demonstration of an integrated hydrogen production system for converting crude glycol streams to purified hydrogen. 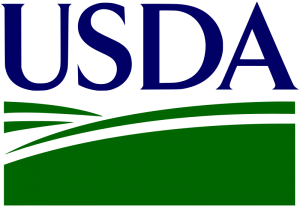 Virent received its first USDA grant under the Biomass Research and Development Initiative. The USDA Grant provided research funding to Virent to support the development of a catalytic process for the conversion of glycerol into propylene glycol. This project was completed in 2010. In 2011 Virent received its largest federal award to date from the DOE, which will support the conversion of corn stover to jet fuel. Virent’s first DOE grant was titled “Hydrogen Generation from Biomass-Derived Carbohydrates via the Aqueous-Phase Carbohydrate Reforming (APR) Processes.” The award provided research funding to the company to demonstrate the feasibility of generating high yields of hydrogen from plant-based sugars. The project was completed in 2008 and resulted in advancing the hydrogen production platform with increased efficiency and reduced costs. Virent’s most recent NIST ATP grant was titled “Catalytic Biomass Depolymerization — A Novel Approach to Platform Intermediates for Biorefineries.” This second grant was completed in 2010 and provided research funding to Virent to develop catalytic technologies to convert biomass to intermediate compounds useful in the company’s biomass to liquid fuels technology. Virent’s first NIST ATP grant was titled “Small-Scale Hydrogen Generation via Aqueous-Phase Carbohydrate Reforming.” The grant provided research funding to the company to support the development of small-scale hydrogen generation systems using aqueous phase reforming. Virent is participating in the National Advanced Biofuels Consortium (NABC), funded under a DOE grant. Virent was awarded $2.4 million as part of the total $33.8 million grant. The award funds Virent’s investigations of pretreatment strategies for releasing biomass sugars in a manner conducive to Virent, improved catalysts for the conversion of biomass-derived sugars to hydrocarbons, and early engineering design work for a complete biomass to biogasoline process. Virent is partnered with HCL CleanTech through a grant from BIRD, the Israel-US Binational Industrial Research and Development Foundation. The award funds HCL CleanTech’s creation of biomass sugars from North Carolina loblolly pine using their two-step concentrated HCl hydrolysis and solvent extraction process. Virent then optimizes conversion of the biomass sugars to gasoline/aromatics. NREL is a partner of Virent’s work within the National Advanced Biofuels Consortium project where we are researching pretreatment strategies for releasing biomass sugars, improving catalysts for the conversion of biomass-derived sugars to hydrocarbons, and doing engineering design work for a complete biomass-to-biogasoline process. Virent is in constant communication with NREL and appreciates their impressive “wraparound support” including strong analytical capabilities and techno-economic analyses. NREL is also providing deconstructed corn stover to Virent for the conversion to jet fuel under a separate award grant. PNNL is a sponsor of Virent’s work dating back to our early research in Hydrogen. We will be working more closely with PNNL in Phase 2 of the NABC project, leveraging their impressive analytic and laboratory capabilities, in addition to their catalyst and materials development expertise. PNNL’s high throughput screening has been instrumental in Virent’s catalyst optimization and analysis processes. INL is the DOE’s leading resource focused on the growth, harvest, and logistics of biomass feedstock. INL is providing corn stover (to NREL) for Virent’s DOE award targeting the production of quality jet fuel. The FAA is working with Virent to advance commercialization of plant-base jet fuel. Through a joint FAA/DOT grant, Virent will complete development and analysis of jet fuel with the aim of meeting the requirements of the American Society for Testing and Materials. Is your government agency interested in learning more about Virent?